April new home sales reversed the one month drop in March to an annualized level of 517,000 as reported by the Census Bureau and HUD. The 6.8% increase from March puts the level at slightly better than the first quarter average of 514,000 and much better (26%) than last year’s April level of 410,000. 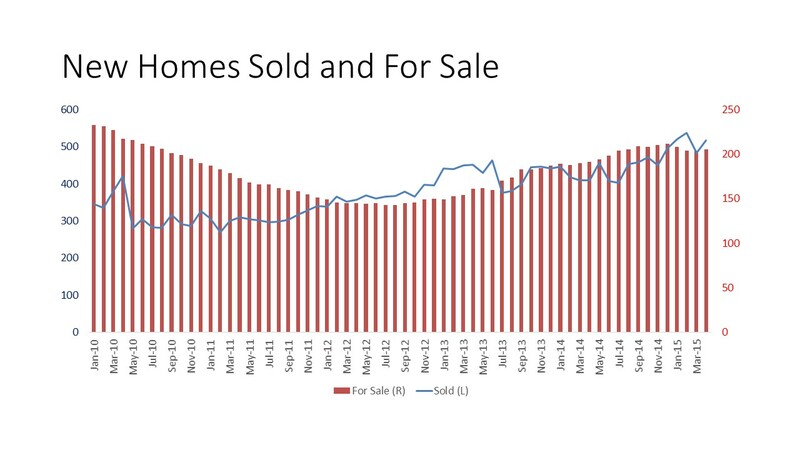 The new sales bounce back along with the starts and permits report and the NAHB/Wells Fargo Housing Market Index last week are consistent indications that the housing market is returning albeit at a modest pace. Regional changes were mixed but mostly because of the unusual March report. The Midwest was up 37% to 78,000 (seasonally-adjusted annual rate) from a very low February and March and the South was up 6% to about the same level as the first quarter. The Northeast was down 6% which was lower than the first quarter average but only 1,000 below March. The West was down 2% but up 40% over last year’s average. Inventories grew slightly to 205,000, which is still well below the historic average of 317,000 (50-year average) but up 43% from the low in August 2012. Prices were up 8.3% from a year ago but most of the change is due to a shift from lower cost homes normally purchased by first-time home buyers and to higher priced homes (above $400,000) purchased by move up buyers rather than price increases from the same home. The change in the constant quality new home price is half the change in the actual sales price.